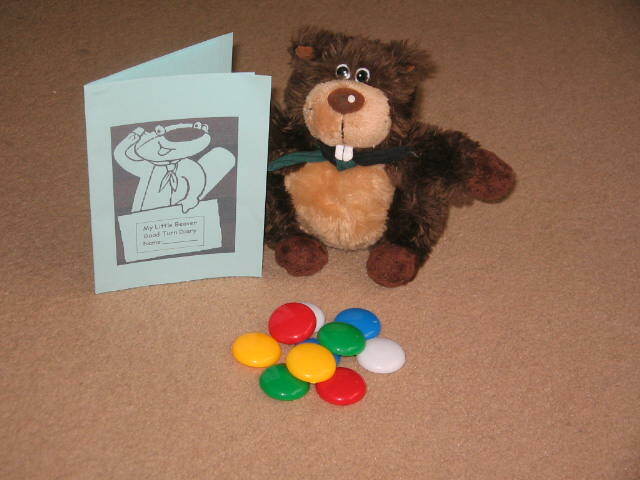 Hello I'm Little Beaver and I belong to 28th Cambridge Beaver Colony. I have lots of fun helping the Beavers keep their promise. Each week I go home with the Beaver who has done their "best" during the meeting. I give them a diary to record the highlights of our week and the good turn they have done. We share this with the rest of colony when we return the next week. Also, in the picture you can see my colourful Beaver Buttons? I award these during the meeting for those who have been kind to others, polite and helpful or for trying something new. At the end of the meeting these buttons are turned into Lodge points. The Lodge Award is given to the Lodge who has accumulated the most number of points during each term. 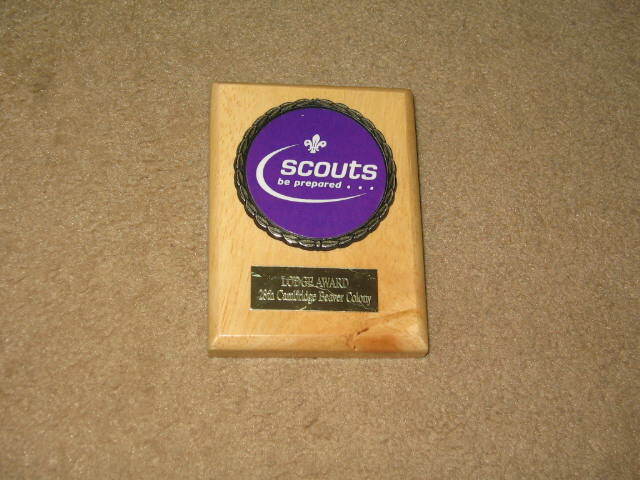 Points are awarded for being on time, wearing a correctly folded necker and woggle and for gaining Beaver Buttons. Each member of the winning Lodge takes it in turn to take the Award home.